Mowing the Law: Judicial Independence or Judicial Supremacy? Judicial Independence or Judicial Supremacy? The Supreme Court has recently strike down NJAC (National Judicial Appointments Commission), a legal body that decides the appointment of Judges of Supreme Court and High Court. The Court in its categoric statement, held that the NJAC was ultra vires of the basic structure of the constitution, for not allowing Judicial to enjoy its independence, for reasons of unwarranted interference in deciding the appointments by the Executive. Before getting into the merits of their arguments, let’s just understand why the NJAC was made in the first place? The entire rationale of the NJAC was to undo the damage the Collegium had done by allowing itself unlimited discretion by deciding who will be the judge, and such method and mode of appointment was undefined, vague and ambiguous. Moreover, by allowing itself to be the ultimate decider, it had the 99th constitutional amendment, which was brought into existence to replace the collegium by a broad minded panel of people, which would provide an inclusive and more democratic method by which judges are appointed, by people who are not only part of executive or judiciary, but even other laypersons. This amendment would include three articles, the first is Article 124-A which would comprise of CJI, his two most senior judges of the Apex Court, the Law Minister and two eminent persons, under the joint appointment by Prime Minister, the leader of Opposition and the CJI. The second Article 124-B talked about the powers that NJAC vested itself to make appointments for judges to both the High Court and the Supreme Court. The third amendment was 124-C which ordained the Parliament to make laws regulating the manner of NJAC. The Supreme Court has held that NJAC posed a serious threat to judicial independence, as having the executive and two eminent persons to decide what is best for the judiciary, was not free from political pressure, bias and political interests. However, what the Court did not explain how judge deciding on appointing others excluded them of the same problems that they accuse the outsiders; namely the executive and laymen, considering the Collegium’s history of appointing corrupt judges, or that the Collegium does not adequately prescribe a transparent process in giving reasons as to why it would not choose a deserving candidate. Therefore, it is fairly evident that the Judiciary’s claim of it being independent, by allowing the judges to decide for others, is as best as a hypocritical claim. I believe that the constitution needs to have separation of powers, but one cannot undermine the other. The Judiciary cannot be said to be working independent of people’s interest, as it is answerable to the constitution. Hence, Constitutional Supremacy is more essential and important than judicial supremacy. The Court should take into account all political opinions and non-political opinions to arrive at appointing judges, rather than using its own standards to insult the people, the executive and other forms of government. Secondly, if the Judiciary claims that if judges, with their expertise and experience, are in a better position to decide, hence they will be apolitical, how does the judiciary explain various decisions that it has laid down that no less political, such as its verdict on Section 377 in the case of Suresh Kumar Koushal v. Union of India, by recriminalizing homosexuality? This clearly shows that the judges themselves are entrenched with bias, political or otherwise, that they take into account while articulating their judgements. Hence, it becomes evidently clear that by gaining dominance in the process of appointment, the court is still very much not independent. By upholding the collegium system, while the judges and the CJI of the SC may have had the authority to decide appointments, and hence will be independent, does not solve the question as to how their judgements will be bias free or apolitical.Broadly, the court instead of striking down the Amendment as violating the basic structure of the constitution, should have adequately dealt with parts of the amendment, by concentrating on reading down the parts that were ambiguous or prone to threatening judicial independence, and dealt with the issue of describing the criteria for determining who is 'eminent person'. By striking down the entire NJAC, the court has undermined decades of efforts that was trying to bring democratic, transparent and accountable system of judicial appointment.On November 3, the Supreme Court will begin hearings on how to improve the collegium system. 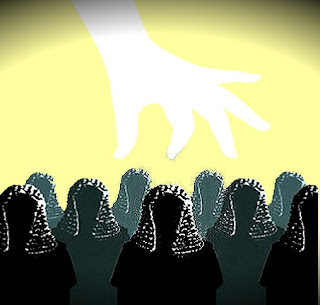 If the purpose is to improve judicial independence, the focus should be on creating a well-qualified judges who will produce independent judgments, regardless of the selection procedure. "The following article is written by Sonal Singh Godara, a 3rd year law student of Jindal Global Law School."